December 15, 2017 — Nestlé Waters North America today announced that it has agreed on the sale of its Tradewinds and Sweet Leaf Tea businesses to Dunn’s River Brands, a portfolio company of private equity firm Fireman Capital Partners, for an undisclosed amount. The purchase agreements were signed today and the transaction is expected to close before year end. Nestlé Waters North America provides people with an unrivaled portfolio of bottled waters for healthy hydration. Brands such as Poland Spring® Brand 100% Natural Spring Water, Nestlé® Pure Life®, Perrier® and San Pellegrino® have driven Nestlé Waters North America to be the third largest non-alcoholic beverage company by volume in the U.S. Nestlé Waters North America also owns and operates ReadyRefresh SM by Nestlé®, the largest home and office water delivery service by volume in the U.S. Based in Stamford, Connecticut with some 8,500 associates, Nestlé Waters is committed to reducing its environmental footprint across its operations. As a natural resource company, Nestlé Waters sustainably manages our 47 spring sources and maintains nearly 14,000 acres of natural watershed area. The company is also committed to creating shared value and being a good neighbor in the 140 communities where it operates in the U.S.
Fireman Capital Partners invests in consumer-focused companies through both growth equity and buyout transactions. The private equity firm focuses on dynamic consumer businesses with revenues between 30MUSD and 150MUSD, who also have a unique vision, strong product and market share, and sound management. FCP leverages its capital, extensive network, and deep operating expertise to add substantial value. The firm is currently invested in CANarchy, Surfside Coffee Company, and Idea Paint with realized investments in Hudson Jeans, Pilla, Evolution Fresh, Serena & Lily, Newton Running and Skip Hop. Dunn’s River Brands was founded on the concept of converging strength exemplified by its namesake found in the beautiful Jamaican landscape. 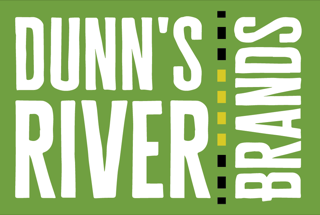 Dunn’s River is led by experienced and accomplished leaders from the beverage industry and seeks to partner with founders and management in emerging branded beverage companies to provide financial, strategic and administrative support. For more information visit them at www.dunnsriverbrands.com.